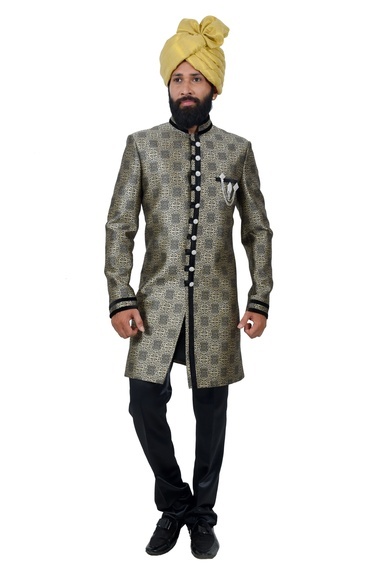 As the name suggests, Indo Western Sherwani is a fusion of Indian and western wear that comes out to be an exceptional outfit. 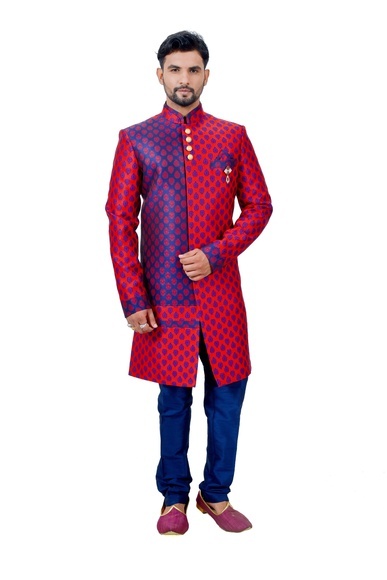 Rightly blended with regality and splendor, Indo Western wear has been donned by Indian men since the time of British Rule. 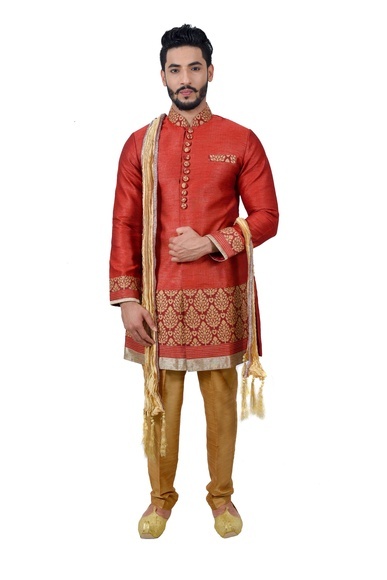 The outfit screams regality and could charm the onlookers in a great way. 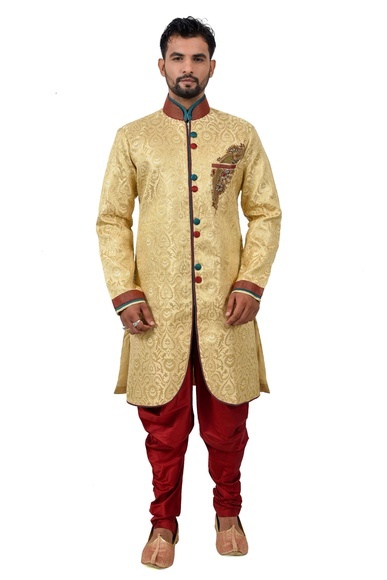 The style of it resembles very much to the evergreen Indian Sherwanis. 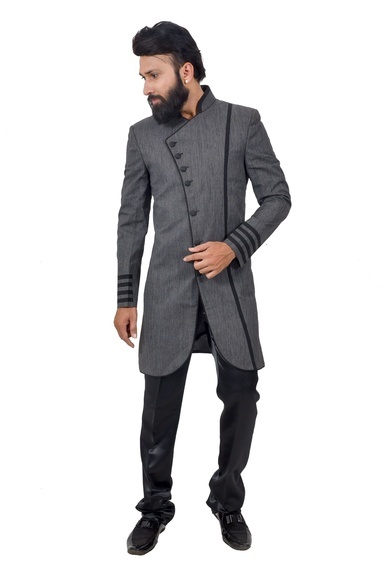 Basically, Indo Western suits are expertly cut and sharply designed long coats that are paired with salwar, dhoti, or trouser. 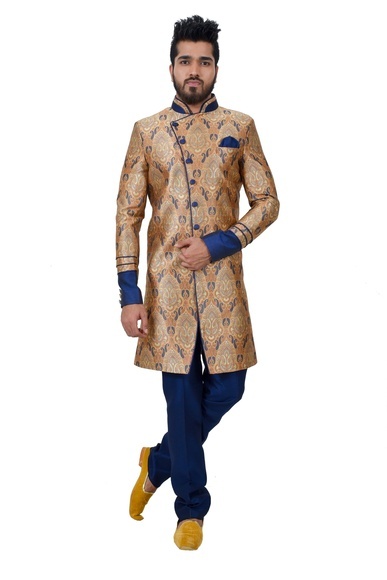 With the innovation in the fashion world, today you can find innumerable options in Indo Western suits. 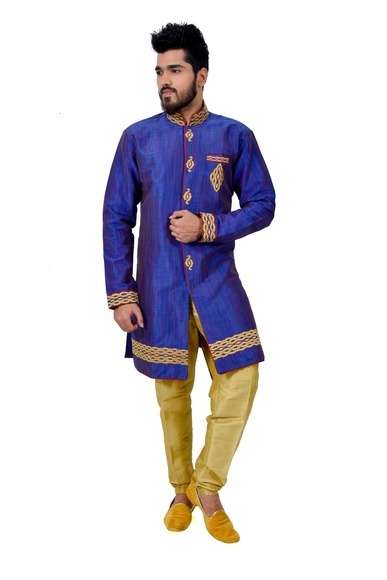 Donning them for any glam event like a wedding or an award show or reception or any other lit occasion would never lead you to a style bluff. 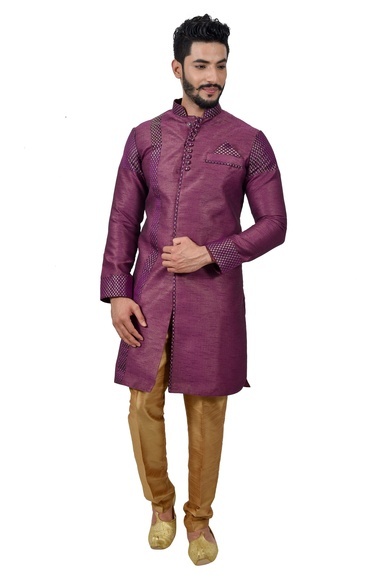 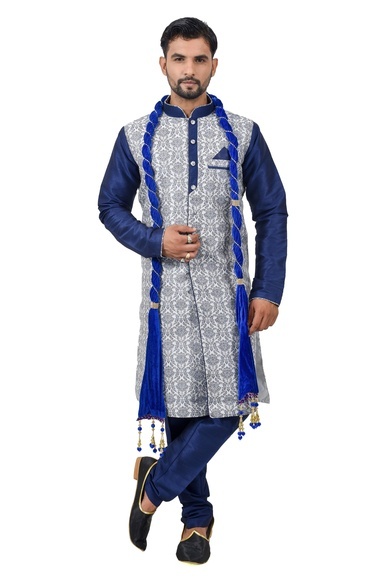 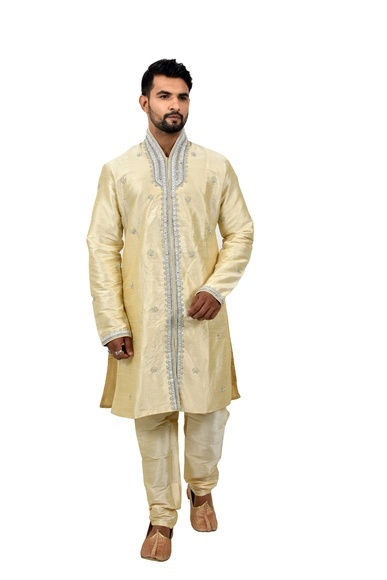 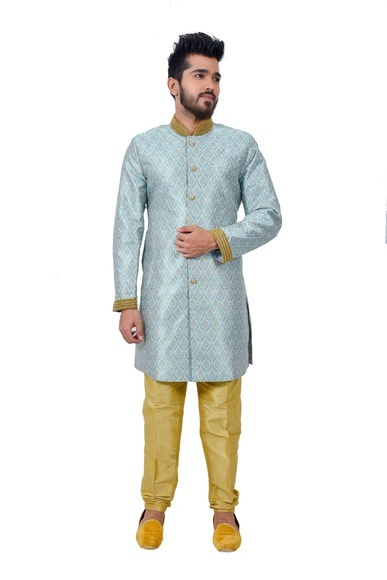 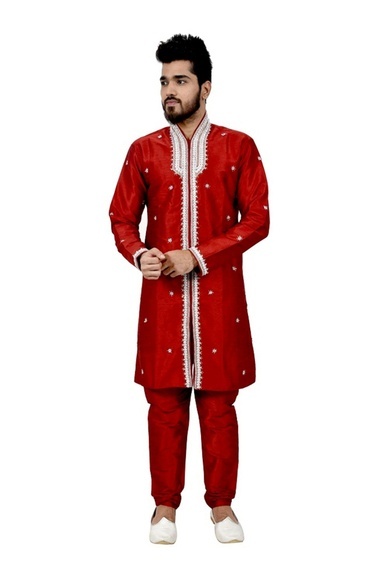 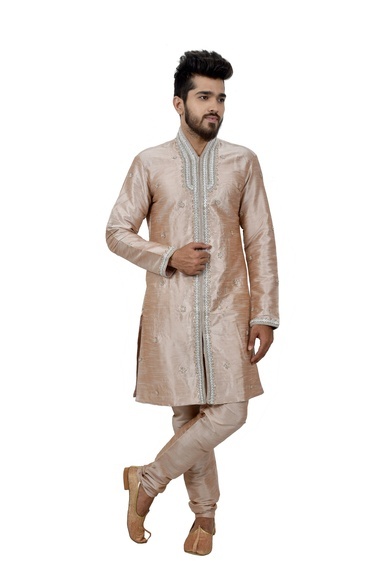 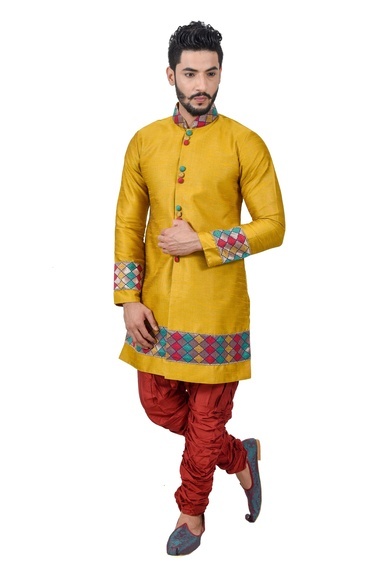 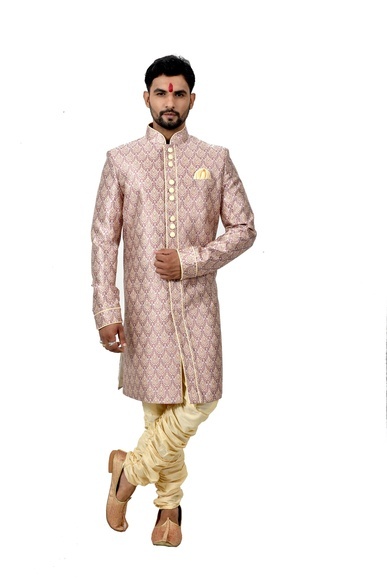 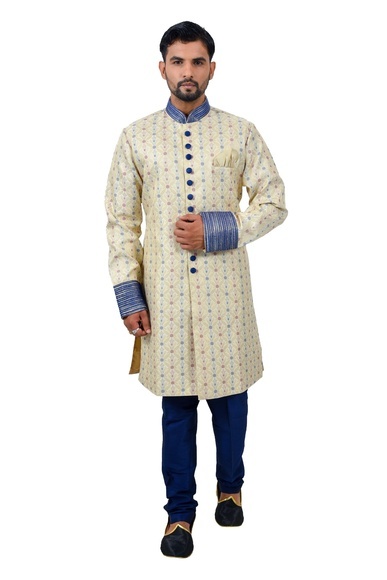 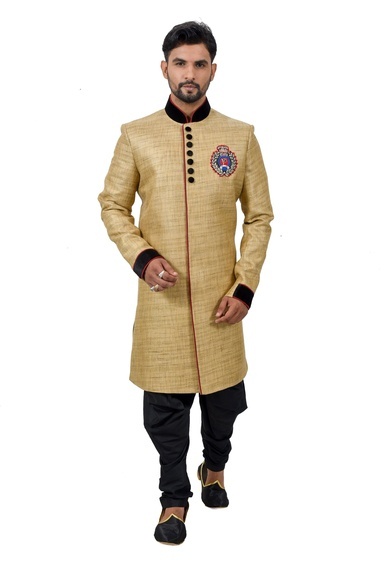 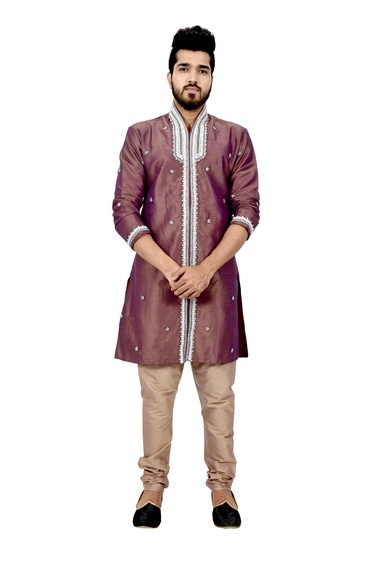 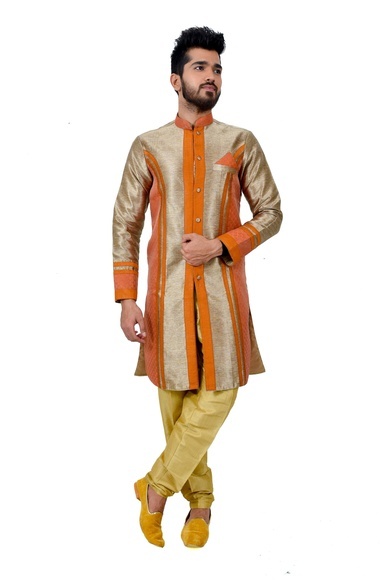 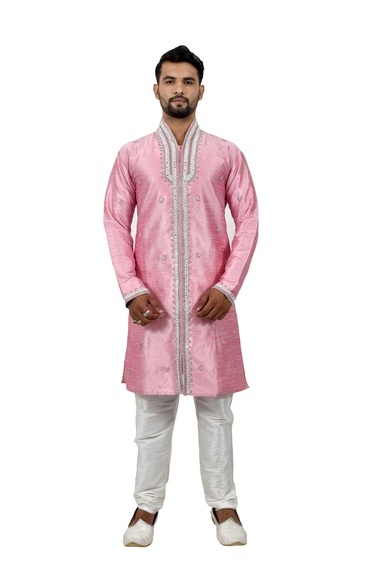 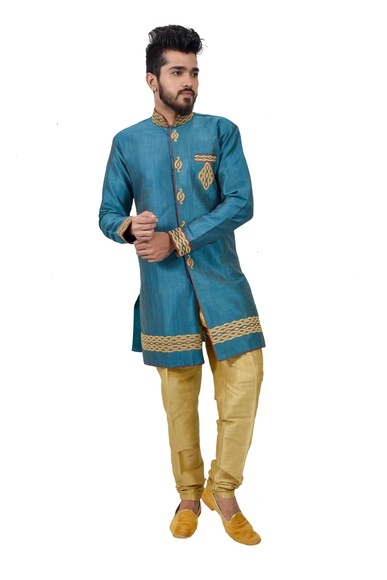 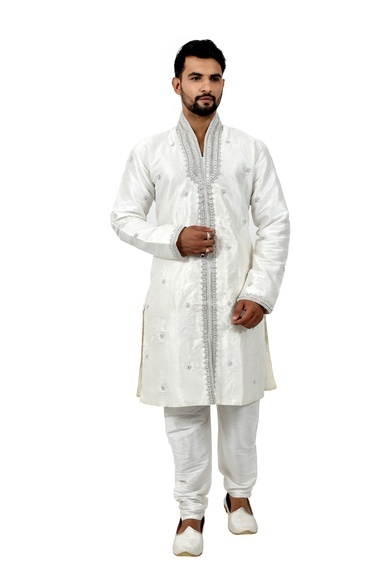 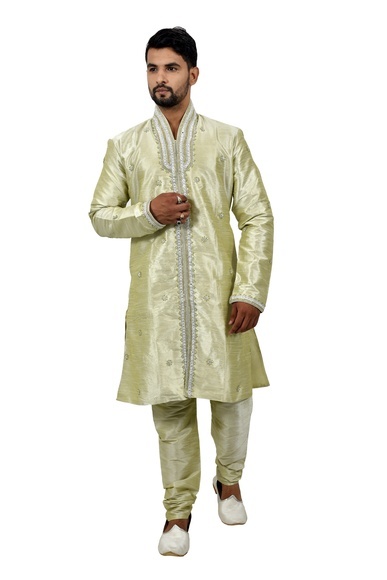 Browse through our elegant collection and buy Indo Western dresses for men online. 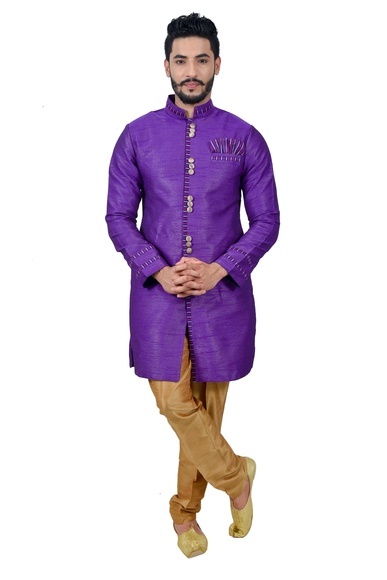 Simply flaunt your style by choosing an elite Indo Western suit.